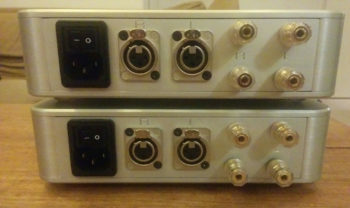 A compact stereo amplifier using Hypex, N-Core Class D amplification. It delivers a stunning 2 x 250W. It uses balanced female XLR inputs. 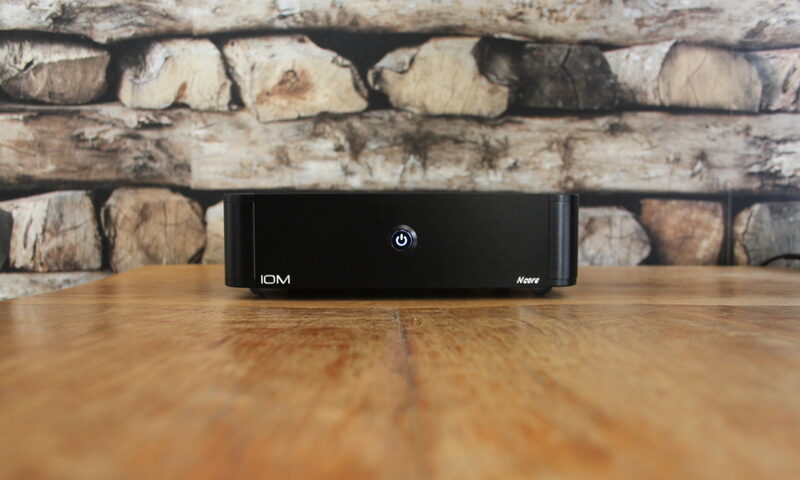 The IOM NCore® Pro is a high-end stereo power amplifier. It’s housed in a compact full aluminium chassis. It uses balanced female XLR’s for input. High-end audio quality is guaranteed by using a premium Hypex, NCore® driven amplifier, the NC252MP, capable of delivering 2 x 250W class D power into a 4 Ohm speaker. 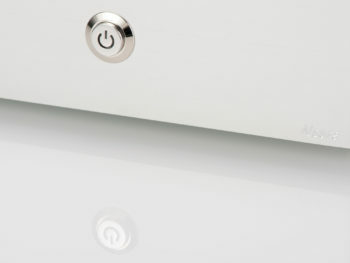 The amplifier module has an on board efficient power supply. 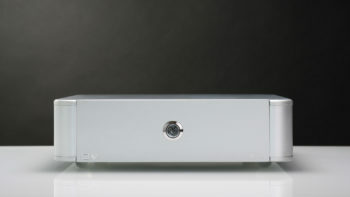 This amplifier is also available with unbalanced cinch/RCA inputs here. I have replaced my Denon integrated amplifier (16.5 kg) and CD player with a decent D/A Converter that doubles as a pre-amplifier and an IOM NCore Pro power amp (2 x 250W, balanced XLR inputs). Ordering was smooth, fast, simple and personal and the amp arrived in a very well packed box. The unit is small, looks nice and is screwed together very well from high quality aluminium pieces. As described in many other reviews of the Hypex modules, I am impressed by the combination of detail in the middle and high frequencies and the control in the low frequencies. It’s like putting on my glasses when I get up in the morning: I hear the same familiar music but with much more resolution. Low frequency is also very good: gone is the booming bass that I had always attributed to the placement of my speakers. With the increased resolution, the sound stage has also improved. I just received the Ncore Pro Amp and connected it with IFI Pro IDSD immediately. I am using Raspberry Pi3 B+ as streamer connected with SSD. When I played first song, I am very surprised what I have heard, the background is very black, the huge sound stage, the low THD provided a sound of high fidelity. The guitar, violin and vocal are vivacious. The bass is deep and like a rock. I can’t say this amp is sweet or warm, but it just made me to feel what is refreshing. Before this amp, I used Nuprime ST-10 that is also a class D amp. It is no doubt it has been beaten by IOM Ncore Pro Amp. Furthermore the price is just 1/2 of ST-10.